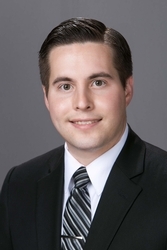 Sean D. Adams is an associate in the Princeton, NJ office of Hill Wallack LLP, where he is a member of the Creditors’ Rights/Bankruptcy practice group. Mr. Adams concentrates his practice in all areas of creditors’ rights, including lender liability, foreclosures, workouts, lien priority, asset sales, receiverships, replevin, bankruptcy, commercial transactions, landlord tenant matters, mediation and litigation. Mr. Adams earned his J.D. from Hofstra University School of Law and he earned his B.A. in History and Economics from Rutgers University. Mr. Adams is admitted to practice law in New Jersey (2013) and New York (2013).